Discussion in 'Depression Disorders' started by ChristianForCats, Apr 15, 2019. I hate Apple. I always did and always will. People can talk all they want about their computers, cell phones, and tablets being better quality at what they do, but they can't do what MIcrosoft computers can. It is also a total lie that Macs are more user-friendly. They are very unfriendly. Mac fans say users only gain, not lose, features when they switch from Windows to Mac. That's baloney. I lost features I need and only gained one that helps me do more on it: louder sounds through the speakers. I am complaining about this here because people without depression do not understand having a computer I hate makes my life worse. I know I should be thankful just to have ab computer, but nothing prevents me from thinking, "I wish I still had Wndows," or something like that if all I want to do is something that is impossible on my iMac. You can dual boot windows on mac. This guy has done a series of videos about Apple, and it gives you a real insight into the problems with Apple computers and laptops. I used to do tech support for a call center. We all dreaded calls/chats from Mac users because Apple has their own special little snowflake way of doing EVERYTHING. Macs are replete with simple, basic problems which wouldn't exist (or CAN'T exist) on Windows platforms or Linux platforms. You are correct, the Mac platform is horrible. I've used Linux for 15 years and have never had any reason to return to Windows or Mac. Stable, secure, reliable and does everything I need it to. When my iMac went south, I went out and bought a second-hand Transsource PC and loaded it with Ubuntu, a Linux variant. I'm fairly happy with it. I hate iPhones, but I have two macbook pros and a mac pro (super fast hackintosh). What can windows do that mac can't? I'd say nothing. If you want to get into computer problems, Windows needs to be reinstalled often because it breaks all the time. Also Windows 10 is junk compared to windows 7, but they both break and need to be reinstalled at least once a year. The problem is Apple is that when something goes wrong with one of their laptops, you can't get the parts to fix it yourself, and they grossly overcharge you for repairs if the machine is out of warranty. Their machines are not built to last, and a person can pay $2,500 for a top of the range laptop and the keyboard can fail just after the warranty runs out, and because the keyboard is riveted to the case, it can take over two hours to replace it, and because of the low quality of replacement keyboards, there is no guarantee that the new keyboard is going to work. If you take your malfunctioning laptop into an Apple store, the staff there are not properly trained and they will say it is unfixable and persuade you to buy another laptop. There are reports of third party repairers who can repair Apple laptops at a fraction of the price Apple charge, who have had their shipments of spare parts from overseas seized by U.S. Customs, and it has been strongly suggested that there has been some influence on U.S. Customs by Apple to ensure that this happens, even though the parts are authentic Apple parts, but Customs decide they are not. This is because Apple has had influence over some officials to ensure that good repairers are prevented from doing their good job. I think that is corruption of government agencies by Apple. And who knows what and how much money has changed hands to enable that to happen? Ubuntu is an excellent system. My only gripe with it is that it uses Gnome Shell which, although very good, is an enormous RAM hogger! There are other flavours such as Kubuntu and even Linux Mint which is built on Ubuntu's base. I've recently switched to Manjaro with KDE. Linux is beyond most average computer users, sadly. My macbooks are 2012 models, theones that you can take apart. My mac pro is a hackintosh and so it's a full size machine with dual boot. 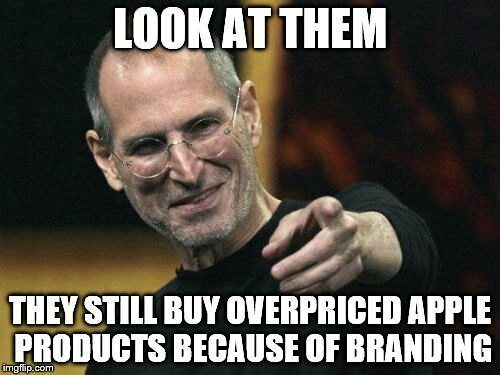 I agree that the new macbook's are junk and built under the guise of planned obsolescence. Linux is a bit of a paradox. For everyday "light" users who just use their desktops or laptops to browse the web, read emails, play multimedia, it is perhaps easier and quicker to set up, install and use than even Windows or Mac. But for anything else, eventually you are going to need the command line and that puts most people off I think. Windows every time for me. Apple products, in my opinion, are the worst. Calling all Apple fans, I need backup! I don't hate Apple. It's not worth the effort. But then I don't have to use it. I have always been opposed to Apple on philosophical grounds. I always disliked their closed hardware-software system. I think it's been relaxed since the early days (as someone said here, you can install other OSes on Apple hardware now), but the damage was done in my view. And the hardware is still pretty much proprietary, though the difference from Windows units is a bit lessened now that so many are using laptops. Plus, the prices Apple charges are exorbitant. So I always favored the Windows platform. However as the years went by it became clear to me that MS was a) exceedingly greedy, and b) exceedingly irresponsible with its Windows programming. I finally jumped ship to Linux, and consequently run Vista-era hardware (with increased RAM and an SSD) very nicely. I since have made peace with Win10, which I do think is a good system once you defang its intrusiveness. But once you get used to Linux there's no need to go back. Anyone looking for a Linux that resembles the classic Win7 experience and is superbly put together, with great support, I would steer to MX Linux. Don't they have "Time Machine" to do that? Not a fan, just a user. Nearly all the computational people at my research institute use Macs. It's the supported Unix platform for laptops (with some version or other of Linux on the compute farm), and we're not about to write scientific software on a Windows machine. I agree. We used Fedora (and, later, Debian) and it was a bit surprising how easy it was use to for the type of admin stuff we had to do. I believe the company had its own tools it used for the shell but it was still amazingly easy once you got used to it.